Welcome to Knight Security’s privacy notice. 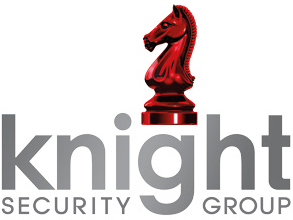 Knight Security respects your privacy and is committed to protecting your personal data. We will fully comply with our obligations under the General Data Protection Regulations which came into force on the 25th May 2018. This privacy notice will inform you as to how we look after your personal data collected when you visit our website or have otherwise provided to us off line in the course of our dealings with you. It also tells you about your privacy rights and how the law protects you. Neither this website, nor our business operations generally, are intended for children and we do not knowingly collect data relating to. This version was last updated on the date set out in the footer of this document. Historic versions can be obtained by contacting us. Identity Data includes first name, maiden name, last name, title, possibly date of birth and gender. Contact Data includes billing address, work address, email address and telephone numbers. Financial Data includes invoice details and any other relevant finance information based on the nature of the services we are providing to you. Security and Access Data includes details obtained as a result of our site survey including details of security (andfire) equipment and access codes and any relevant site information including health and safety assesments of the environment. Marketing and Communications Data includes, if relevant your preferences in receiving marketing from us and our third parties and your communication preferences. Third parties or publicly available sources. We may receive personal data about you from various third parties and public sources such as credit agencies and third parties who you may be directly contracted with to provide services to you and for whom we provide a key holding service. We carry out limited marketing activities and so will only ever do so with your prior consent. External Third Parties who help deliver our services to you. This may include key holding companies.